Health and Fitness Den: Comparing Nikon COOLSHOT 20 versus Nikon COOLSHOT 40 Golf Laser Rangefinder, What's the Difference? Lightweight and compact, the Nikon COOLSHOT 20 and COOLSHOT 40 are easy to use handheld Golf Laser Rangefinders that will provide you with quick and accurate measurements. Both the Nikon COOLSHOT 20 and 40 incorporate First Target Priority technology which allows for the closest object in grouped/overlapping objects to be measured. This feature is ideal for golfers when measuring the distance to a Flag when there are trees in the background for example. Both the Nikon COOLSHOT 20 and 40 provide an 8-second continuous measurement with a single press of the power button, allowing for quick measurements to multiple targets. Bright clear images are ensured with both Nikon laser rangefinders thanks to their high-quality 6x monocular with multilayer coatings. Both the Nikon COOLSHOT 20 and 40 incorporate a Dioptre adjustment function, together with a long-eye relief design for easy viewing. So how do the Nikon COOLSHOT 20 and 40 differ? To begin with, the Nikon COOLSHOT 40 is the higher end model rangefinder over the COOLSHOT 20 and as you would expect comes with a higher price tag. So what are you getting for your extra $$s? The Nikon COOLSHOT 40 Golf Laser Rangefinder offers HYPER READ technology with a better distance measurement range over the COOLSHOT 20. The COOLSHOT 40 displays distance in increments of 0.5m/yd compared to the COOLSHOT 20’s 1m/yd and also offers better accuracy with +/-0.75m/yd. 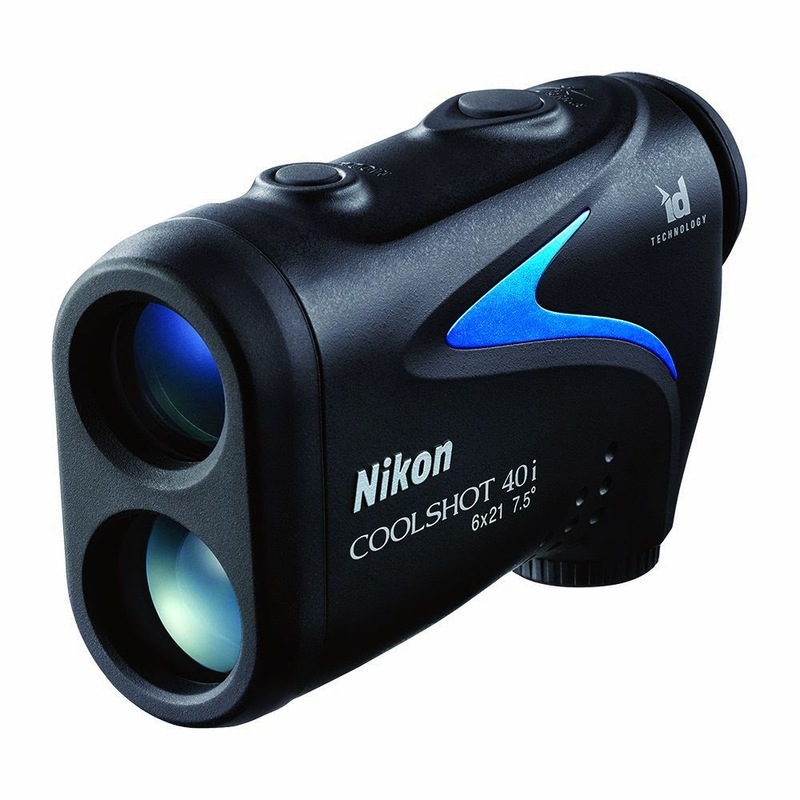 In addition, the Nikon COOLSHOT 40 offers a wider field of view with a slightly better effective objective diameter. See comparison tables below for full specifications. Also available, is the COOLSHOT 40i, which is Nikon’s top of the range golf laser rangefinder with Slope ID (incline/decline) Technology. All 3 Nikon COOLSHOT golf laser rangefinders are rainproof and have a wide temperature tolerance of between -10 degrees C to +50 degrees C.
· Wide temperature tolerance: -10 to + 50 degrees C.
Both the Nikon COOLSHOT 20 and 40 are well-built rangefinders that you can easily fit into your pocket or golf bag without weighing you down. 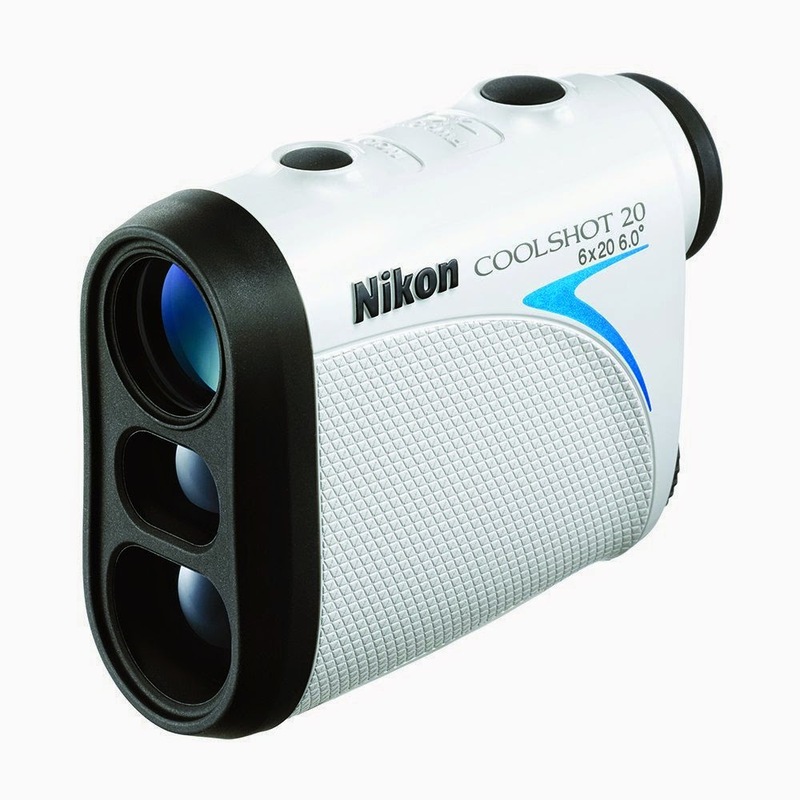 For the more casual golfer, the Nikon COOLSHOT 20 would be more than adequate for your needs and is the lightest and smallest model of the Nikon rangefinders. 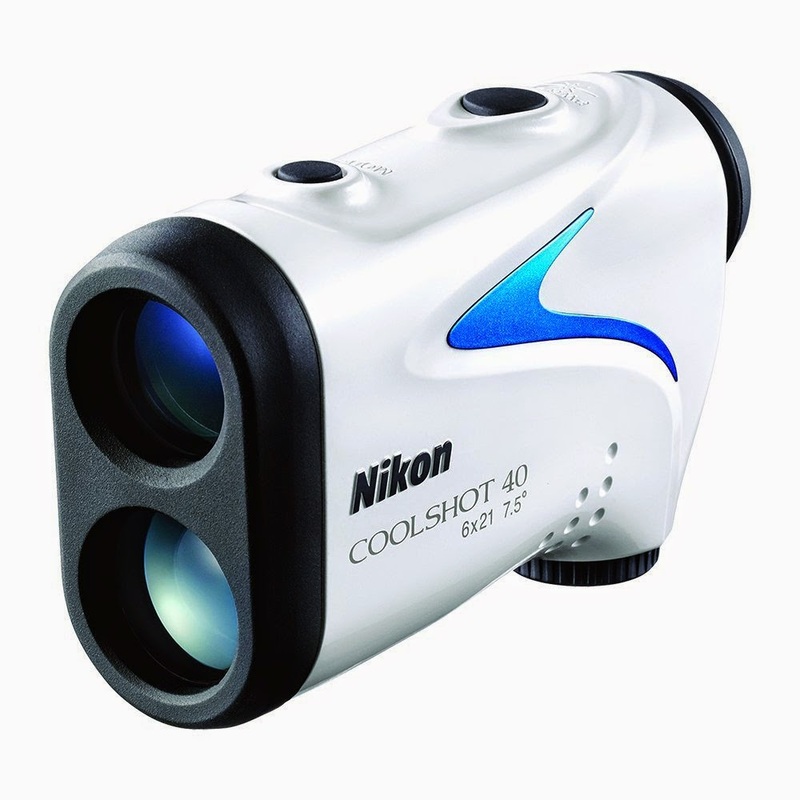 For the more serious golfers, the Nikon COOLSHOT 40 is definitely worth the relatively small extra cash for its additional features, distance range, speed and accuracy. The Nikon COOLSHOT 40i gives you the added benefit of slope-adjusted measurements (add around $50 more to the cost of the COOLSHOT 40 for the 40i).